The breeding of HC has been my passion for over 20 years. My small farm, Augustenhof, is situated pretty much in the center of Germany at an elevation of 550 m.
which are grazing on 20 ha. I enjoy organizing shows, showing the offspring and engaging in discussions with other breeders. 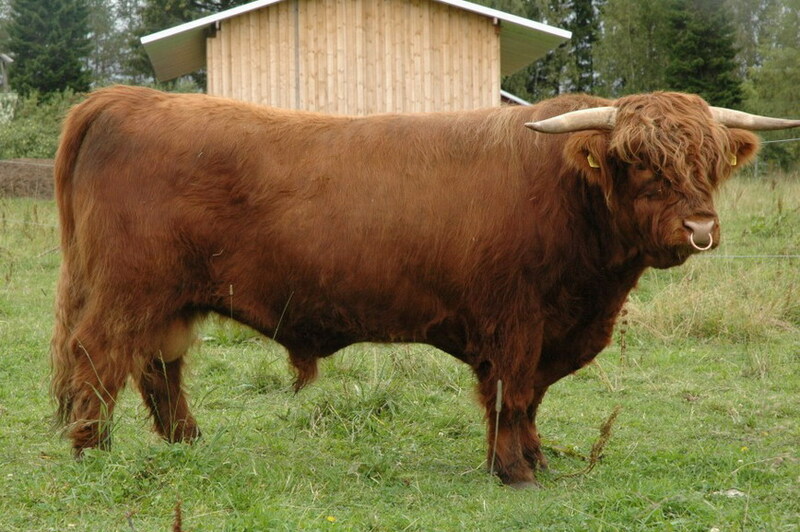 Highland-Cattle-Journal as editor and regular contributor. For some time now I have been organizing "Beginner Workshops"
for HC novices. That's great fun! and have already judged a Young Stock Show in Austria. The world wide community of HC breeders is dear to my heart. and see how the neighbours are doing, meeting new and familiar faces. It is an unrivaled opportunity for introducing and showing ones animals. with much success in which I was very fortunate. to and fro of e-mails ensues, bringing people together. and I pledge to judge fairly and conscientiously. 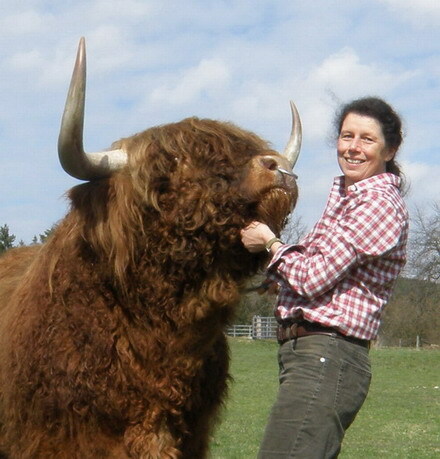 There have been pedigree Highland Cattle at Woodneuk since 1954 and I have been involved with them all my life. 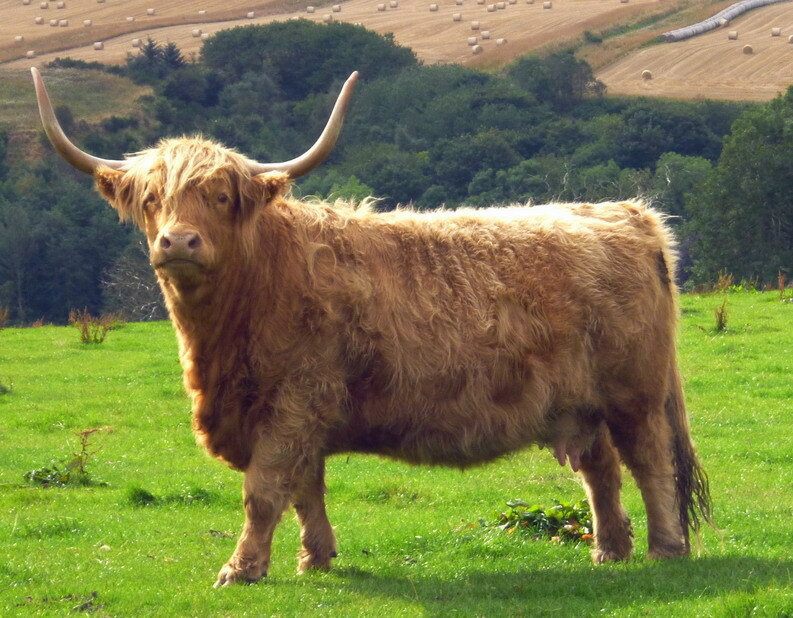 At present, we have over 260 Highland Cattle and every year there are between 50 to 60 pure Highland calves born as well as Highland cross calves. I am currently a Highland Cattle Society Council member and Treasurer/Secretary of our local West of Scotland Highland Cattle Club. I have been a Society Judge for a number of years and have judged both in the UK and abroad. This is always a huge honour and I have been very lucky to meet and enjoy the friendship of so many other Highland Cattle breeders from all over the world. I have thoroughly enjoyed showing our cattle over the years in both local and national shows. I know only too well the hard work that goes in to preparing animals for the show circuit and I appreciate all the effort that is made to promote our breed. In 2001 we had the great honour of one of our cows being the champion of the first Virtual Show. This show is a great forum for breeders from all over the world to see how their own animals compare to others from far and wide. It is a great honour for me to be asked to be on the panel of judges for this year's Virtual Show and I am looking forward to the hard task ahead. 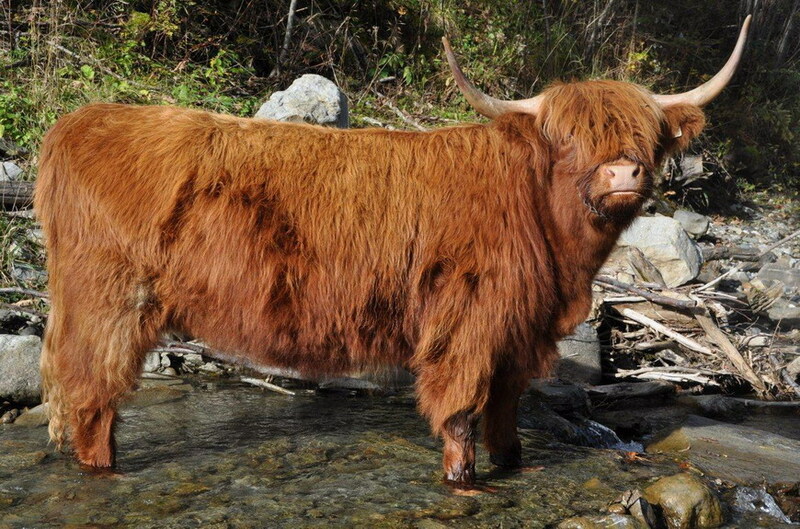 My history with Highland cattle goes back to the early 1970's when I first saw them in the United States. At that time they were listed as a breed that had critically low numbers. My husband John and I agreed that this was the breed for us. However, life continued at a frantic pace and it would be 20 years before the first Highlands came to Spring Flight Farm. We have never second guessed our decision and it has brought a wonderful dimension to our farm. 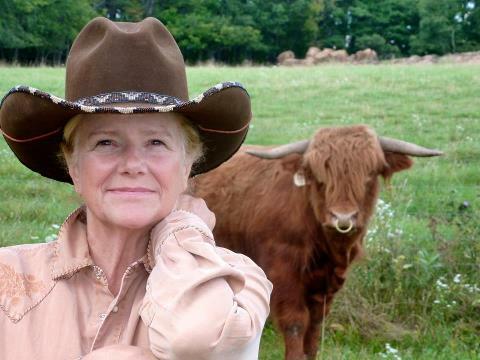 The cattle are smart and independent, exactly like the folks who husband them. 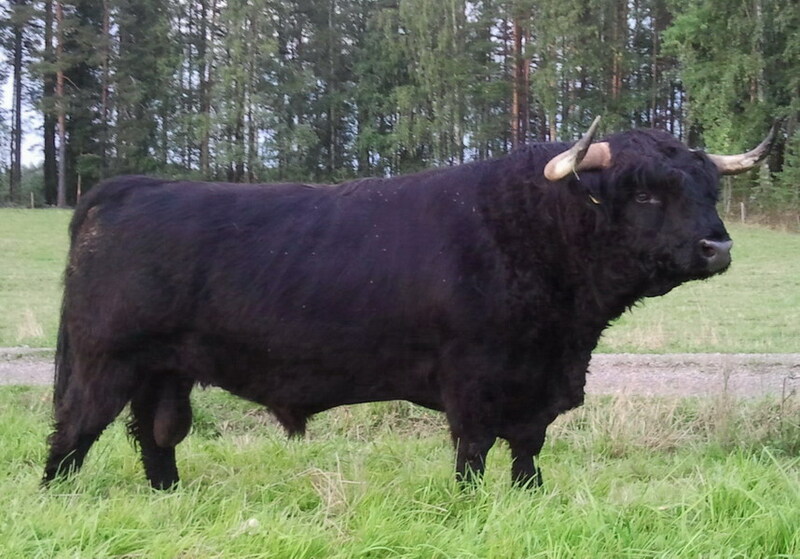 We raise registered breeding stock and crosses. In total we run an average of 150 animals. Of these we sell registered stock, steers of various ages and have a healthy beef business, selling at farmers markets, to restaurants and by the quarter and half carcass to families. 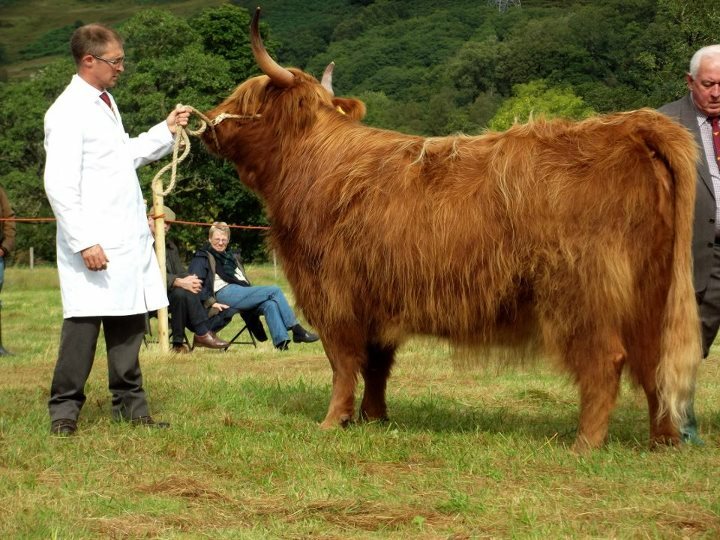 We attend four to five shows per year to promote our animals and are active in regional groups as well as the American Highland Cattle Association (AHCA). I have served as a director of the Mid-Atlantic group and AHCA. In addition I have been the vice president and president of AHCA. It was a privilege to serve in such a capacity. 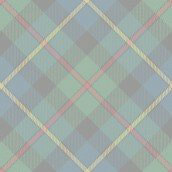 Currently I sit on a number of committees at the national level and am the associate editor of our quarterly journal The Bagpipe. I feel it is important to mentor new breeders and create a sense of community amongst our membership and Highland breeders world-wide. Through the years, I have met many wonderful people from around the globe at our international gatherings and feel that we all have much in common. My judging experience has been at local county fairs and junior shows. I look forward to judging the wonderful animals presented in the Virtual Show.